Investors are awaiting the outcome of recent rate cuts in Brazil. Whether it will prove proactive or premature remains to be seen. Citing a substantial deterioration in the global economy, Brazil’s central bank shocked financial markets by cutting its Selic benchmark interest rate by 50 basis points in August. Authorities are trying to shield Latin America’s largest economy from the impact of a slowing US economy and a festering European debt crisis. While some analysts support the preemptive move, others say Brasilia may have overreacted. The country’s inflation rate remains above 6.5%—the upper end of the official target range. Following the central bank action, analysts increased their 2011 inflation forecast to 6.52%, from an earlier 6.34% prediction. A sliding real, which depreciated by 16% in September after rallying 43% since 2008, could further fuel inflation by boosting import costs. At 12%, Brazil’s benchmark rate remains the highest among G20 economies and traders expect it to end the year at 11%. The central bank says it will pursue only moderate rate cuts consistent with plans to bring inflation back to the 4.5% target next year. Cuts would be stepped up only in response to a eurozone sovereign default or major bank failure. Market rumors indicate Brazilian president Dilma Rousseff would like the Selic rate to drop to 9% next year, requiring more aggressive rate cuts. Rousseff has said that, unlike in 2008 when the central bank took four months to slash rates after the collapse of Lehman Brothers amid a global economic downturn, this time the bank is taking early measures to shield the economy. On September 10 2008—five days after Lehman’s demise—Brazil’s central bank actually upped the Selic rate to a two-year high of 13.75%. The bank later cut the rate by 100 basis points in January 2009, further dropping it to a record low of 8.75% by July. The recent rate action is sparking mixed opinions. 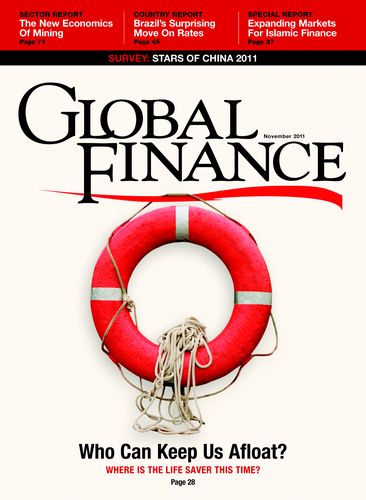 “Instead of sticking to a target just for the sake of doing so, the central bank evaluated the economic landscape and decided to be proactive rather than reactive,” says Gabriela Rodil, consulting manager on the global services team at CPA Plante & Moran. “Given the situation in Europe and the stagnation we’re seeing in the United States, the central bank is anticipating a cool down within the economy. Cutting interest rates now will ensure Brazil is in a position of strength if a cool down occurs,” adds Rodil. A central bank survey shows analysts predict the economy will grow by 3.5% in 2011 and 3.7% in 2012, compared to 7.5% in 2010. Monetary easing coupled with fiscal tightening could be a more balanced solution, as opposed to Brazil’s traditionally skewed policy mix, says Irene Mia, regional director for Latin America at the Economist Intelligence Unit. Mia contends high indexation, strong demand, wage pressures and the country’s vulnerability to food and fuel prices could still boost inflation, even as the central bank appears to be betting on the global and domestic slowdown to ease price pressures. 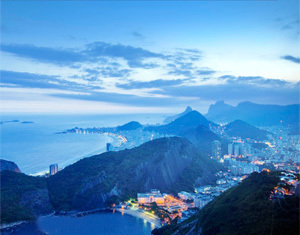 "This decision comes at a very strange time, given the need of Brazil to continue to attract investment into the country to fund the World Cup and Olympics that will be held in Brazil in the coming years"
While the debate over the rate cut’s immediate impact rages on, Oliver Leyland, an equity analyst and portfolio manager at the São Paulo office of Mirae Asset Global Investments, says the long-term impact could actually prove to be positive for the country’s equities market. 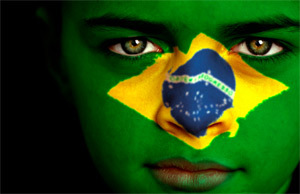 Brazilian policymakers are encouraging marke t growth. While Brazil’s economy braces for a cooling-off period, carmakers remain bullish. Brazil became the world’s fourth-largest vehicle market last year and experts say there is still room for expansion. Brazilian car sales grew 6.7% year-on-year during the first nine months of 2011, to 2.53 million units, according to the Fenabrave car dealership association. 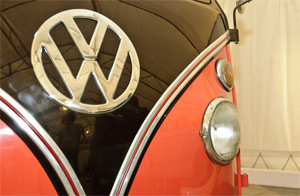 Volkswagen remained the market leader, with 21.88% of sales, followed by Fiat with 20.92% and General Motors with 19.91%. The Anfavea carmaker’s association predicts 3.69 million units will be sold this year. "This country has room for imports, but this space cannot compromise our path of growth in production, job creation and stimulation of investment in innovation and technology"
Brazil-born Carlos Ghosn, CEO of Nissan, notes auto ownership in Brazil is only 250 cars per 1,000 residents, compared to as much as 580 cars per 1,000 residents in Europe. Authorities want to ensure that increased demand will be met by locally-produced cars. The government in September increased the industrialized goods tax by 30 percentage points on cars that do not have 65% local content, in a move to support local producers. The hike will be in effect through December 2012, though authorities are considering adding flexibility to the scheme in response to charges of protectionism. The increase will affect imports from China—which had been rising strongly, and Argentina—where 80% of car exports go to Brazil. Given the ever-increasing importance of China as a trading partner to Brazil, protectionist policies could have much larger trade ramifications. “This country has room for imports, but this space cannot compromise our path of growth in production, job creation and stimulation of investment in innovation and technology,” Aloizio Mercadante, Brazil’s science and technology minister, told reporters. The tax regime favors automakers that invest locally in research and development. Carmakers are preparing for increased demand. Volkswagen is investing $4.5 billion in its four Brazilian plants through 2016. Nissan is investing $1.5 billion in a new plant, while strategic partner Renault will invest $750 million to expand an existing plant. China’s Chery and JAC are both building local plants by 2014, and construction is underway on a Hyundai plant.